Connect your favorite Valentine’s treats with their remarkable histories. Learn the tantalizing stories of how each of them came to be true American sweethearts. You’ll start with a sampling of the earliest aphrodisiacs (4,000 years old) and end with Cinnamon Hearts (1940s) with such favorites as truffles (turn-of-century), Conversation Hearts (1860s), heart-shaped chocolates, and the ever-delicious marshmallow sweets (2000 BCE/mid-1800s) and even more. But your jaw will drop when you hear the stories, all about traditions of love and courtship, ancient desire, Speakeasy pleasures, and even Civil War medicines! Bring your questions and memories but above all, your sweet tooth! Even if you attended this event last year, there will be new and exciting “pieces” of candy history to learn! 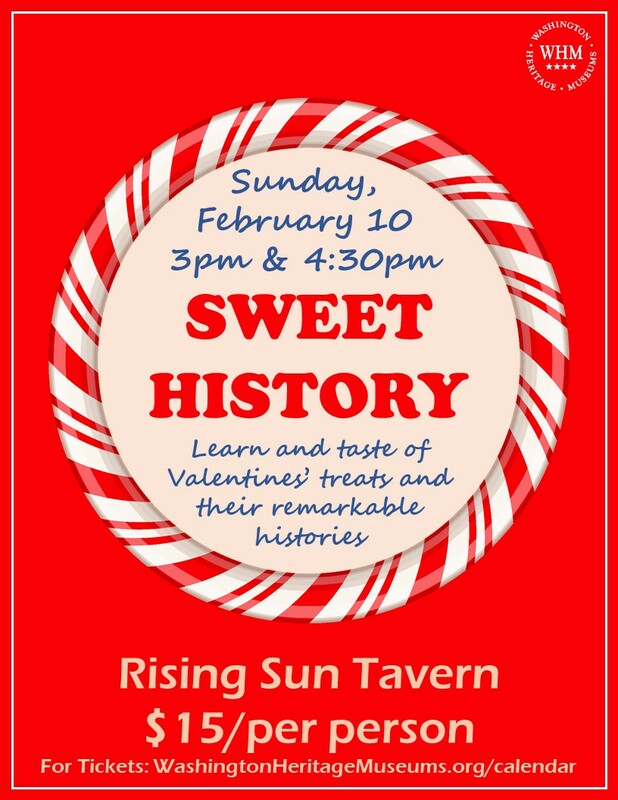 Hosted by candy historian Susan Benjamin, this event is too sweet to miss! Choose between two show times, 3 p.m. and 4:30 p.m. with a limited admission of 30 guests (15 per show). This event is recommended for those aged 16 and up. RSVP's are encouraged by purchasing tickets in advance. Tickets can be purchased on Facebook or by going to www.WashingtonHeritageMuseums.org. All ticket sales are non-refundable. If the event is not sold out, tickets will be available at the door for $20.